Everyone has the right to return home uninjured from work at the end of each day, but to ensure this there are a multitude of hazards and risks that need to be controlled. Both employers and employees need to cooperate to establish and maintain a safe and healthy work environment. Glove manufacturers produce a wide range of hand protection to meet the varied requirements of industry. The type of protection required in different industries of course varies according to the process. In Europe the largest industries are automotive, food, aerospace, chemicals, biotechnology, defence, finance and the service sector. While in parts of the world such as the Middle East there are currently no set standards in place for glove selection, a plethora of these exist for European employers to refer to, including recognised international standards from the British Standards Institution (BSI), the International Organization for Standardization (ISO), American National Standards Institute (ANSI) and the United States Occupational Safety and Health Administration (OSHA) guidance. Before selecting hand and arm protection, the hierarchy of control measures should be followed. Gloves and gauntlets provide the main form of hand protection against a range of industrial hazards, but other forms of PPE such as mitts, wrist cuffs or armlets may also be used. In the case of manual handling where there may be a risk of piercing by abrasive, sharp or pointed objects, gloves should be provided where these hazards cannot otherwise be removed, isolated or reduced to an acceptable level. Such gloves are usually made from leather, chain mail, rubber, knitted Kevlar or stout canvas. Gloves should not, however, normally be worn where there is a risk of them being caught in machinery. The hands and arms are, like any body part, vital to most general day to day activities. As with the rest of the body they can come into harm’s way in many different forms while in the workplace. This harm can be in the form of exposure to hazards such as vibration, repetitive strain injuries, carpel tunnel syndrome, over exposure to harmful chemicals, extreme temperatures, cuts, entanglement and even amputation. Harm to these limbs can leave us with decreased functionality both in the workplace and in our everyday life. While the physical effects are usually clear to see, there is also a huge financial, emotional and psychological burden that is caused by any workplace accident or incident. Almost all workplace illnesses and injuries are preventable and as with any illness, prevention is better than cure. We need to address these hazards where possible before work commences, to ensure the most effective control is reached. Risk Assessment – The most effective and reliable way to prevent problems in the workplace is to design and operate processes to avoid contact with hazardous materials, so take all the steps you can to achieve this before resorting to the use of protective gloves. A task specific risk assessment needs to be carried out to determine the need for protective measures and to determine what measures are the most reasonably practicable for your organisation. Effective control measures usually consist of a mixture of process and/or workplace modifications, applied controls and methods of working that minimise exposure and make the best use of controls. Very often this mix includes the use of PPE. The first step in any risk assessment is identifying the potential hazards and the potential consequences of exposure to them. 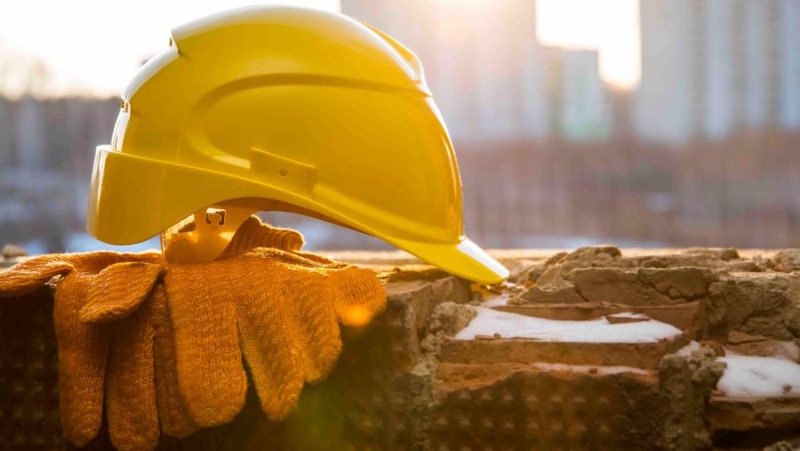 Potential hazards to hands and arms – As stated earlier, there are a number of different hazards that can cause harm to the hands and arms in the workplace. Hand and arm vibration (HAV) is vibration transmitted from work processes into workers’ hands and arms. It can be caused by operating hand-held power tools such as road breakers, hand-guided equipment such as lawn mowers, or by holding materials being processed by machines such as pedestal grinders. Prolonged and regular exposure to this vibration can affect the operator’s health, resulting in painful and disabling disorders of the nerves, blood supply, joints and muscles of the hands and arms. These disorders are collectively known as hand arm vibration syndrome (HAVS). Work related upper limb disorders (WRULDS) are caused by continuous repetitive actions of the hands, wrists and arms and can lead to reduced functionality of the hands and arms. Many office workers experience this while at work. In many cases, the symptoms can continue out of the workplace and lead to daily discomfort and often long term effects. Dermal exposure is a major route of occupational exposure to hazardous substances. Different chemicals have different adverse effects on the hands and arms from mild irritation to contact dermatitis, or corrosive burns. A large proportion of the workforce may be exposed to both naturally occurring and manmade chemicals while at work. In EU member states, skin diseases are the second most common occupational diseases, contact dermatitis being the most common. Other work related skin conditions include chemical burns and skin cancer. Some products contain substances that can harm the skin or enter the body through skin contact. The product label or material safety data sheet should tell you if this is the case. When dealing with chemical exposure there are a number of gloves and sleeve materials that may be suitable. For this reason you will need to look at the chemical breakthrough time of the gloves, and select the material that will best protect against your particular hazardous substance. Whether you are working in a laboratory or on a construction site you are sure to come into contact with harmful chemicals. The sector you are in also needs to be considered. A nitrile glove may protect against the material in the lab, but using the same material on a construction site may require a heavy duty glove to protect against cuts and abrasions too. Using mechanical equipment in the workplace can easily lead to cuts and abrasions if the correct precautions are not taken. In more severe cases fingers or even limbs can get caught in equipment leading to entanglement and even amputation. Industries most affected by this are agriculture, construction and engineering. Protecting the hands and arms at work – Many of the hazards mentioned can be controlled by the use of engineering methods or improved ergonomic design, but even after applying these options there is sometimes still a requirement for PPE to ensure complete protection; for example, when using chemicals or vibration tools. The hierarchy of control strategy should be used at all times when implementing controls to eliminate the hazard or reduce the risk of a hazard causing loss, damage or injury. This is because it is less subject to human failure and also less disruptive and uncomfortable for people carrying out the work. In many cases, it will be necessary to use more than one control method. Whichever methods you use, regular monitoring is important to make sure that the control is working effectively, and that exposure to the hazard is eliminated or reduced to a safe level. Whether the injury to hand and arm is through chemical contact or exposure to vibration through power tools, we need to look at where the hazard can be removed. Does this task need to take place? If not, eliminate it. Elimination means there cannot be any exposure. For example, jobs could be redesigned to minimise the use of vibrating hand tools, and powered hand tools redesigned to minimise vibration. Where jobs cannot be redesigned to eliminate vibrating tools such as pneumatic hammers, petrol chain saws, and other powered hand tools, engineering controls, work practises, and administrative controls should be employed to minimise exposure. If the hazard cannot be eliminated completely we need to look at how we can make the task safer for those exposed. For example, to reduce chemical burns, we could look for a less corrosive material that will be as effective. While looking at substituting these activities and materials, however, we also need to understand that we could be just relaying the harm to another body part – injury from inhalation, for example. Engineering and administrative controls follow closely, although these can be quite expensive to implement, so many companies do without. If they can be put in place at the design stages with good planning, engineering controls can be the most effective way of protecting those in the workplace. As discussed in the first section of this article, there are many ways hands and arms can become harmed in the workplace. Administrative and behavioural changes such as taking frequent breaks, carrying out a Display Screen Equipment (DSE) assessment or implementing good ergonomic design can all help to reduce this occurring. Applying guards to mechanical equipment can protect from cuts and entanglement. When implementing engineering controls to prevent HAV, the use of low vibration tools and damping can be very effective to protect users. The employer should further ensure that the PPE is used only for the purpose intended by the manufacturer, and in accordance with the manufacturer’s instructions. After we have exhausted all other ways of controlling the risks we need to look at implementing PPE to protect the hands and arms. The most effective way of doing this is through the use of protective clothing such as gloves, sleeves or gauntlets. Although there are a number of cons to PPE, if it is used correctly and in conjunction with other control measures, it can prove very valuable and assist in saving lives. It is never a case of ‘any glove will do’. The type of glove, sleeve or gauntlet selected will depend on the activity, material being used and the risk assessment. A glove that will protect against a corrosive liquid may provide zero protection against extreme temperatures or vibration, and vice versa. While cost effectiveness is important, it is not advisable to select your protection based solely on price. The material of the glove should be fit for purpose. If you are using the PPE to protect against the harmful effects of hand and arm vibrations, for example, you will need to use shock absorbent gloves suitable for this. If, however, you are selecting a glove for protection from corrosive materials, you will need to select the glove most practical for this. When selecting gloves you need to ensure you supply your workers with protection that reaches the relevant standard. The type of exposure will decide which standard to meet, although they all have many of the same requirements in common. There are a number of International/European Standards that govern the production of gloves.